Last night’s live show at the State Theatre in Pretoria was themed Hits from the Movies, and started off on an uplifting note as contestants took to the stage with Kirk Franklin’s version of Earth Wind and Fire’s September, backed by the Idols Band and the Johannesburg Youth Orchestra. It was the last time all nine would be on stage together. Fitting in with the theme, the contestants were glamorous in black evening wear that made them look red carpet ready. A suave Botlhale was the first to breathe a sigh of relief when his name was called. He chose Lionel Ritchie’s Say You Say Me from the film White Nights. The judges’ response was lukewarm, with Randall lamenting his “lack of energy” and Somizi pointing out that “it wasn’t bad, but it wasn’t great either”. Tee made it onto the stage next, performing Michael Jackson’s Man in the Mirror from the movie, Joyful Noise. The judges’ consensus was that she had already conceded defeat. “If you want to win, you have to sing like a winner. You didn’t,” was Randall’s blunt assessment. The positive feedback came with Christo, who serenaded with I Just Called to Say I Love You by Stevie Wonder from the movie, Lady In Red. Somizi called it flawless. Unathi said he’d “coloured it so beautifully” and Randall was full of praise for both contestant and the orchestra. It was a more restrained Phindy who took to the stage to sing the Robin Hood anthem Everything I do by Brian Adams. 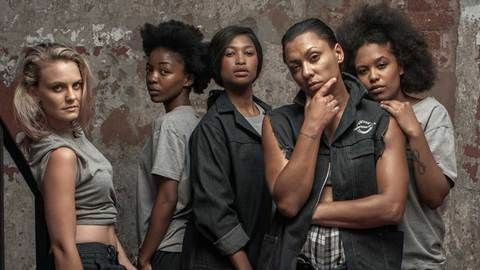 While Randall found it “cloying and far too sweet”, Unathi called it Phindy’s best performance of the season and Somizi commended her for “not being afraid to be ugly to be beautiful”. It was Paxton who was doing a happy dance a moment later when her name was called. With only Lindo and Thapelo left of stage, the tension was almost unbearable. Lindo’s burst of relief came as Thapelo was announced as the one leaving. Singing Luther Vandross’ Evergreen from A Star Is Born, Lindo had the judges singing his praises. Unathi said he did it justice. Randall waxed lyrical, applauding how his guttural voice surprisingly worked in contrast to the soft strings of the orchestra. It was certainly a high note to end on. Now we wait to see how the public voted and who will proceed to the Top 7. 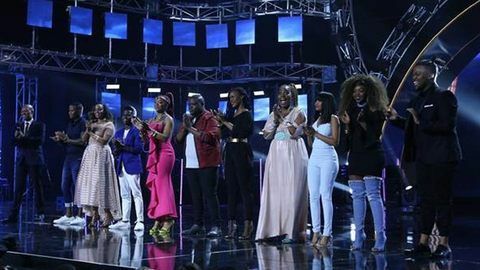 Idols SA season 13 is on Mzansi Magic, DStv channel 161 on Sundays at 17:00.